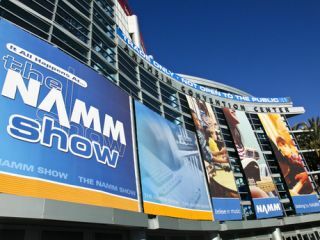 The 2010 Winter NAMM Show - the music-making industry's biggest international trade event - kicks off in Anaheim on 14 January, but prior to that, there'll inevitably be speculation regarding the products that are going to be launched there. To keep you up to speed with what's expected to be shown by whom, MusicRadar has put together this rumour round-up - keep checking back for an updated company-by-company guide to what might lie in store. We already knew that Ableton and Serato were working together, but it looks like NAMM 2010 will be the place where the two companies reveal more about what they've been "cooking up in the digital DJ kitchen". Scratch for Live? We'll have to wait and see. DSI has put the word out that it's launching an "exciting new product" at NAMM 2010, which doesn't really give us an awful lot to go on. We do know that Dave Smith has been working with Roger Linn on the near-mythical LinnDrum II, but last we heard, this was going to be a Linn-branded product, so we suspect the NAMM launch could be something else. Having wowed the world with its first two Eigenharps in 2009, Eigenlabs has confirmed that it'll be launching another one at NAMM. MusicRadar will be on the show floor to see how this slots into the product range. There should be plenty for Ibanez to shout about at the show, with additions to the RG Series likely to appear alongside entry-level JEMs and a Joe Satriani signature acoustic. IK has been busy teasing us with photos showing what it's been up to - it looks like another version of AmpliTube could be in the offing. Whether this will be version 3 or another artist or genre-based iteration, though, remains to be seen. Okay, so the former Guns N' Roses and current Velvet Revolver guitarist isn't a brand, but he's already revealed via Twitter that we can expect to see a new Slash Seymour Duncan pickup, signature Marshall amp and brand new Slash Les Paul at NAMM 2010. The Gibson guitar and Marshall amp are due to be unveiled on Saturday 16 January.